Solitaire TriPeaks, available for Android phones and tablets through the Google Play store, is an in-depth Solitaire game that brings modern features to a classic game, while retaining the feel and play of the original game. Solitaire fans will no doubt want to know how this plays, and the best way to describe it would be as classic solitaire but with elements of Klondike, Spider, FreeCell, and Pyrami. If that sounds like an odd almalgamation don’t worry as it all flows well and makes perfect sense when you are actually playing the game. There are hundreds of levels to make your way through here, and the level of content available is very impressive for a free game. 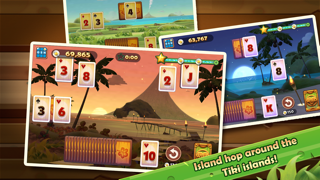 ♠ Uncover the Golden Tiki Mask, Flower Blossom, and other hidden cards during your solitaire gameplay. 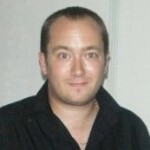 ♠ Journey through island destinations, unlocking new solitaire adventure and free bonuses. You play with coins, which can be purchased with real money, but many players will get by just fine on the free daily handouts and generous starting bonus. This is the way freemium should be done-completely free to use and you never have to pay anything if you don’t want to, but those that do want a bit extra are careered for with purchases. The game is themed around a beach setting, and I am impressed with the work the developer has done in this regard. Many games would just feature a static image in the background but here there are animated themes that are really attractive. I really liked the night based themes as they provided a relaxing and beautiful place to play the game. What I was most impressed by, however, was the freedom the game offered players to play how they want. There is an impressive variety of upgrades and special abilities that you can use to get you through each level but you can ignore many of these and get through each stage the old fashioned way. The characters Tiki and Poi are well crafted and are a good addition to provides a humorous and cute distraction, and on the while, the presentation to top notch throughout. Overall I came away from the free Solitaire TriPeaks very impressed. A cool beach themed take on a classic game, with an incredibly generous selection of levels, Solitatire TriPeaks comes highly recommended.